It is an honor to welcome this distinguished group of practitioners whose expertise will truly be an asset to the high quality care provided at Children’s National. Children's National Medical Center has added more than 50 new faculty to the nation's children's hospital. The group includes established medical experts in a variety of pediatric subspecialties and includes new division chiefs for Cardiology, Genetics, and Hospitalist medicine as well as Allergy, Pulmonary, and Sleep medicine. “It is an honor to welcome this distinguished group of practitioners whose expertise will truly be an asset to the high quality care provided at Children's National,” said Peter Holbrook, MD, chief medical officer at Children's National Medical Center. Charles I. Berul, MD , Chief, Division of Cardiology. Dr. Berul is an internationally acknowledged expert in pediatric cardiac electrophysiology, inherited heart rhythm abnormalities, pacemaker and defibrillator implantation, and cardiac screening of the pediatric athlete. Dr. Berul joins Children's National from the Children's Hospital Boston where he directed the Pacemaker Program. Anastassios Koumbourlis, MD , Chief, Division of Allergy, Pulmonary, and Sleep Medicine. Dr. Koumbourlis has experience in pediatric pulmonary medicine with special interests in congenital lung and airway anomalies, chest wall deformities, and pulmonary complications of neuromuscular and sickle cell disease. Dr. Koumbourlis joins Children's National from Schneider Children's Hospital in New York where he was the chief of pulmonology. Marshall L. Summar, MD , Chief, Division of Genetics. Dr. Summar joins Children's National with an interest in translating findings from research on genetic disorders caused by environmental factors in the broader pediatric population. He is an expert in translational studies of carbamyl phosphate synthetase deficiency and has completed innovative work on nitric oxide in urea cycle and related disorders. Pedro A. Jose, MD, PhD , Director, Center for Molecular Physiology Research. Dr. Jose joins Children's National with research interests in salt-sensitivity, hypertension, and metabolic syndrome. Dr. Jose has received many awards, including a 2007 MERIT award from the National Institutes of Health. *Children's National has partnered with Mary Washington Healthcare to provide Pediatric Hospitalists at Mary Washington Hospital. Contact: Emily Dammeyer/Jennifer Leischer, 202-476-4500. Children's National Medical Center, located in Washington, DC, is a leader in the development of innovative new treatments for childhood illness and injury. 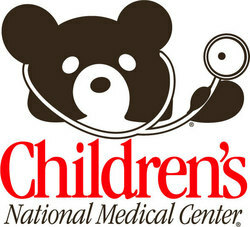 Children's has been serving the nation's children for more than 135 years. Children's National is consistently ranked among the best pediatric hospitals by U.S.News & World Report and the Leapfrog Group. For more information, visit http://www.ChildrensNational.org. Children's Research Institute, the academic arm of Children's National Medical Center, encompasses the translational, clinical, and community research efforts of the institution. Learn more about Children's Research Institute at http://www.ChildrensNational.org/Research.